Penny's Club teaches young savers how easy saving can be, thanks to Penny's Clubhouse and competitive interest. Enjoy up to three free withdrawals per quarter; $2 fee per withdrawal in excess. Hello and thank you for visiting Synergy Cents with Penny D. Pelican! Please feel free to come by and visit all of us at the bank to learn more about the exciting ways to save for your future. Synergy Cents is published monthly in Family First Magazine. Answers to the latest edition is posted below. View all the newsletters in the Newsletter Archive below. 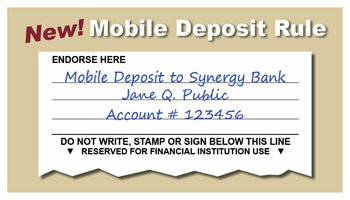 1Transfers from a Synergy Savings account to another account or to third parties by preauthorized, automatic, telephone, or computer transfer or by check, draft, debit card, or similar order to third parties are limited to six (6) per calendar month. Transfers and withdrawals made in person, by messenger, by mail or at an ATM are unlimited. Accounts that exceed the transaction limitations on more than an occasional basis will be either transferred to another account type or restricted of transfer and draft capabilities.